If I Don’t Wear a Seatbelt, Can I Still Sue for My Accident Injuries? 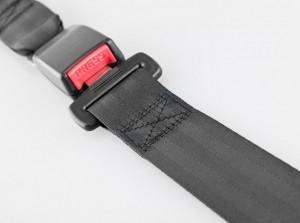 If you do not wear a seatbelt in your vehicle and then are involved in a car accident, you may wonder if you are still eligible for collecting compensation for your injuries – after all, you didn’t cause the accident. If you are indeed the victim of someone else’s negligence, the answer will depend on all of the facts of your case. Because you were not wearing a seatbelt, you were breaking the law and you will receive a traffic violation for such. However, you did not cause the accident, so the person responsible may still be required to pay compensation to you for your injuries and losses. There are two major factors used to determine the basis of your claim: negligence and causation. You must not only prove that the other driver was negligent, but that their specific negligence is what led to your injuries. In an accident claim where you may be partially at fault, you would have to establish that the injuries you are claiming compensation for were caused by the defendant’s negligence, and not your own actions. Georgia does allow for comparative negligence. This means that an injured plaintiff can recover damages even if they were partially to blame for the accident and, accordingly, their injuries. However, proving causation is vital to your claim, and you will likely need the assistance of a car accident attorney. Some states will bar you from collecting any compensation even if you are only one percent at fault. Georgia does not. Instead, the state uses the comparative negligence law, which allows you to collect even if you were partially negligent. Under the modified rule, you can only collect damages if the defendant was 50 percent or more at fault for your injuries – if, on the other hand, you were found to be 50 percent or more responsible, then you cannot collect damages in a personal injury lawsuit. The other party may also attempt to state that you contributed to the accident or your injuries by failing to wear your seatbelt. The insurer may look for these types of details in order to limit their settlement proposal or try to eliminate settlement altogether. However, if you were 49 percent or less at fault, you are eligible to recover damages under Georgia laws. You will not be able to recover the full amount of your settlement if you have contributed to the injuries in any way. The final judgment amount is based on how much at-fault the courts feel you were. For example, say you didn’t wear a seatbelt and the courts felt that you contributed to at least 20 percent of your own damages. Therefore, your final settlement amount awarded by the court would then be reduced by 20 percent to account for your own actions. This is where an attorney comes in. An attorney can help you prove liability in the injury case, and also ensure that you receive the compensation you are entitled to – despite being partially at fault. If you have been injured in an automobile accident, contact the Atlanta injury attorneys at Van Sant Law, today. We will go over the details of your case during a no obligation consultation, providing you with an analysis of your claim and laying out your best options for moving forward. Call 770-886-9199 to schedule an appointment or ask your legal questions online right now.